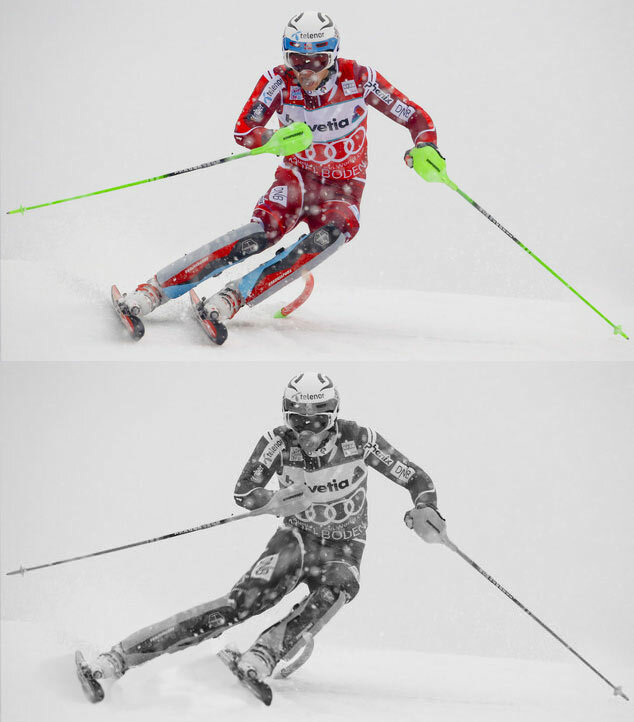 A-frame stance, knock knees, X shaped legs – different names of non parallel shins (tibia from the knee to ski) during ski turn. At course X make difficult to move more down the body, limits edge angle and looks at modern standards not aesthetically. In my opinion, if X is, it can not be cured. But need to try. I can not say that X is indicator of amateur. So I will not put here my photos with bright X. Such pictures we have enough even among the participants of the World Cup. 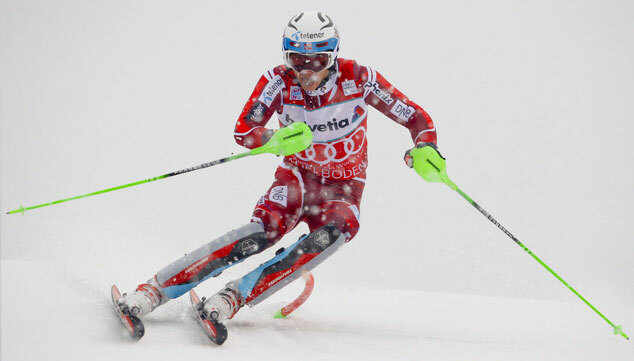 Though I must notice the fact that “Youth” (slalom it to 25-30 years) meets X only occasionally, and there are some athletes with complete “organic” absense of X in any conditions (like in photo below). Among the reasons of X in Internet, usually put at first place proper regualtion of ski boot (boot fiting). 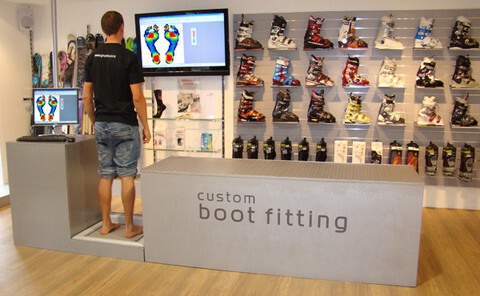 From my point of view the boot fit can and should be done, but it does not need to apply to boot fitters, as it is strongly recommended in the forums. 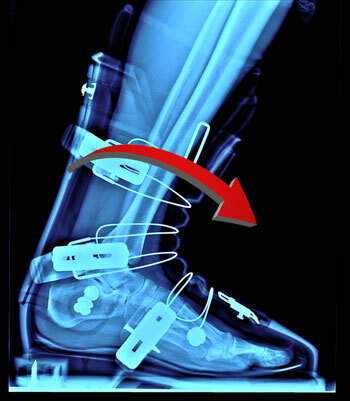 There is an old method with a plumb lined from the center of the knee to the center of boot, and similar method is used in a different ways in boot fitting. The network has stories about how to somebody such adjustment has helped to get rid of X once and for all. I am happy for them, but as in a fairy tale about Cinderella 🙂 For me it does not help. My legs by the nature are of normal adjustment, I do “canting” of boot for a long time, but it does not affect to my X. From my point of view, a few different reasons lead indepenentally to A-frame stance, and each of this reason must be worked separately. 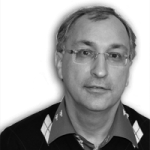 Is it necessary or not – everyone decides for himself, I know quite good skiers who have stopped “fighting” with X and feel (and ski) good. I do not leave the hope, so this season has worked with the reasons leading to “my” X, and describe it here. 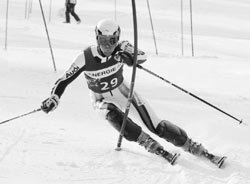 I underline that we are talking of the slalom and giant slalom. In the free descents I got rid from of A-frame stance a long time ago, for this is quite enough (in my case) to control the movements of knees. During the “classics” A-frame was not a bad thing. 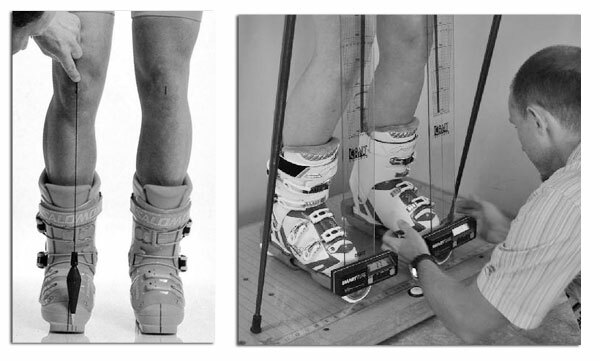 Here are a few pictures from the guidelines for training alpine skiing of that time. 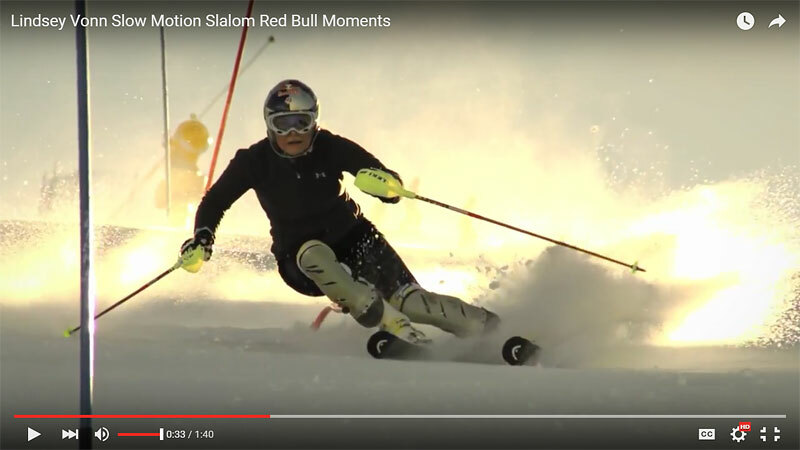 I do not talk about move legs outside the body in ski turn as it is not about A-frame. But to X refers maximum take-away, when there may be parallel angular position of the legs. 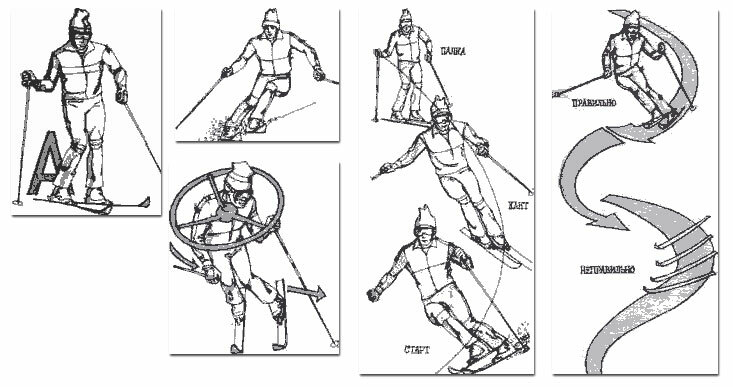 This maximum-parallel incline depends on many factors, including individual characteristics of the body, the condition of the slope, the specific features of ski model, speed and radius of turn, etc. Unfortunately, I feel more comfortable to “throw legs away” and then “collect them back”, ie wait for the skis come back to the body. It seems to me, too, the sequence of the classic skiing habits. 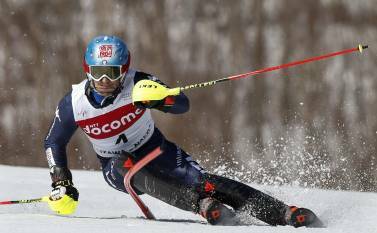 Besides the fact that such habit lead to difficulties of the load of ski at the beginning of turn, it also lead to A-frame, which is poorly controlled. That is it well controlled the extended outside leg, with sometimes extremely over-edged ski. 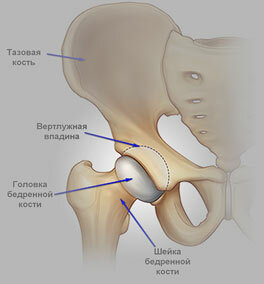 And the fact that the inner leg remained “for safety” near the body is not noticed. To “treat”it you must first learn to notice this fact. And then just hold the leg at entry to turn (when it yet has not gone far from the body). To hold to, it means to stop the movement of the leg across the slope and by some rather psychological effort to send the body down. If you find (after it) that the leg has remained too much under the body, then the body can be directed inward, pushed from the outside leg. The pattern could be likely look as well as the take-away of legs, but it present other inner feelings and, most importantly, to keep safety by inside leg is not necessary in principle. For be it is better to hold the outside leg by sensation in the hip (in a joint “hips neck”), and usually I need pay attention only to the left leg (due to asymmetry of movements). In my case, the width (between) of skis much depends on the sense of maintain a balance. That is, if the speed exceeds the comfort or confidence of the clutch with a slope is lost, the legs go wider. So is not easy to keep narrow skis. But if it sucseed, the X disappears organically. The easiest way to feel it on the floor, without skis, in coordination exercises. If you put your feet on shoulder width apart and imitate edge change, you have to watch out for the start of the movement of inner knee to avoid X at the beginning of the movement. But if you narrow your legs during the motion of edging, namely firstly put “future” inner leg to the “future” outside one, and only after that start moving of edging then no need any additional control of knee for avoid X. In the free skiing sometimes I arrange a “day of narrow skis”, or if the plans do not allow to work on it all day, then at least a few runs. In the track, if all is under control, it is easiest to narrow legs in the phase of “descent across the slope” if it is possible to say such about round turn. At begin of this note I’ve mentioned that in the free descent one can get rid of X just by control of knees by keeping some distance between it. 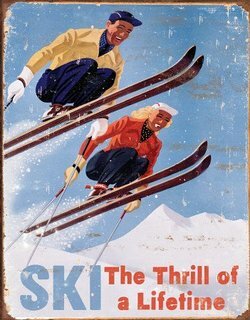 It is interesting to note that in classical skiing were the opposite exercise (which I really never did). It was necessary to hold the glove between knees, and ski. Just to elaborate on that time a useful habit of X. Now there is just the opposite devices in the form of balls and spacers. There are also exercises for breeding knees by hands. For me such methods are not necessary, but I need to maintain all the time a habit “not to X”. I want to note particularly useful of control the bend of “upper” knee also. It is necessary to try to put into the slope, and (this also applies to the fight against unnecessary twisting of the body toward the valley). I do not remember about it all the time, though this feature I have. This is especially noticeable in the shallow part of run in gates with “vertical” figures. Hit a pole by hand, but the knee still tries to dodge, as if there is no guard. That is, the X appears suddenly, when you are not expect it at all 🙂 When training in Austria, bright coach Jürgen Schasching paid special attention on this. Several runs demanded strictly ensure that every pole should be “taken” by the middle of shin protection.